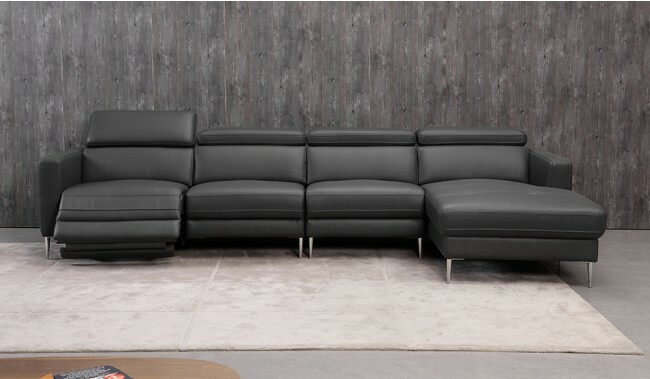 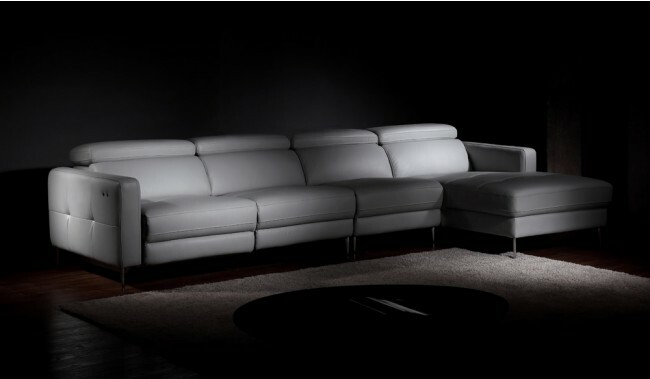 The Certosa Large L Shape Recliner Sofa is a modern power recliner sofa with slim arms to maximise seating space. 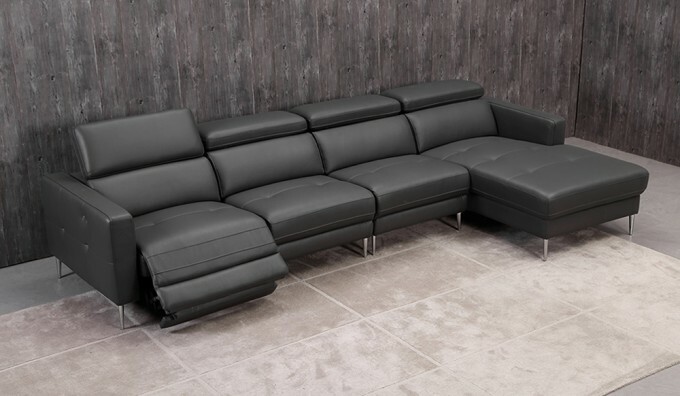 Available left or right facing, finished in top grain leather and with the highest quality Legget & Pratt electric recliner mechanism. 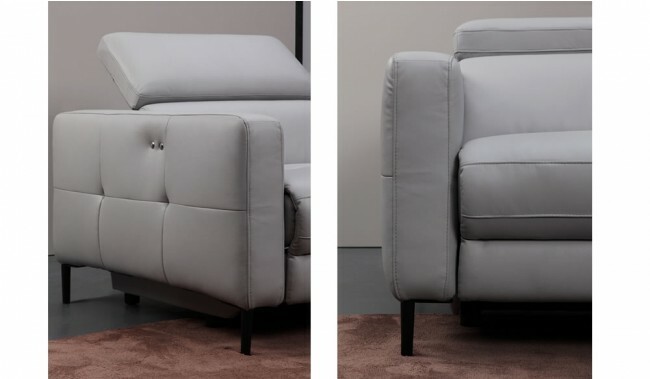 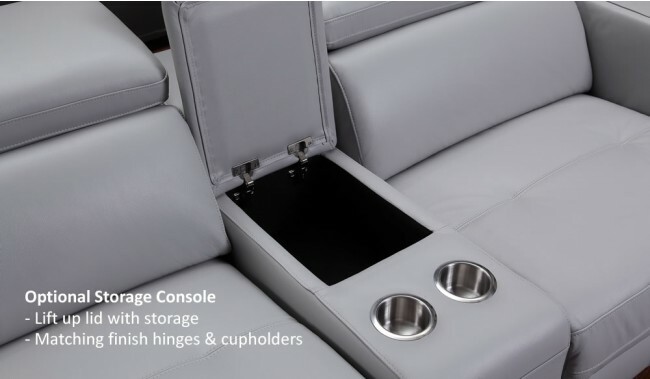 With one power recliner on the arm section as demonstrated on the images above and discreet tactile touch recliner buttons and manually adjustable headrests for high back and head support. 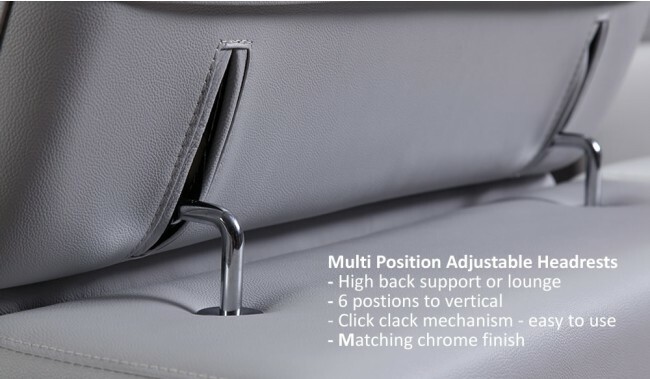 Headrests adjust from height 76cm when down to 94cm when fully upright. 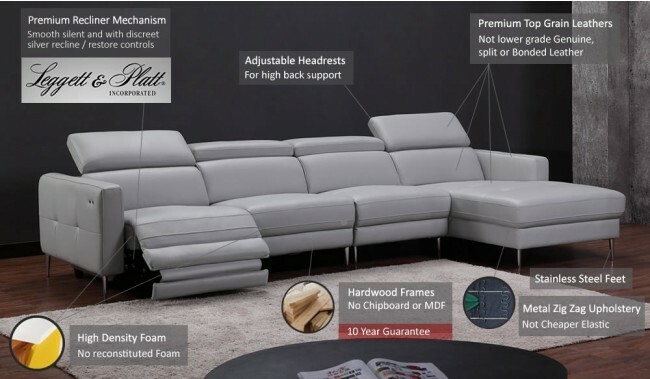 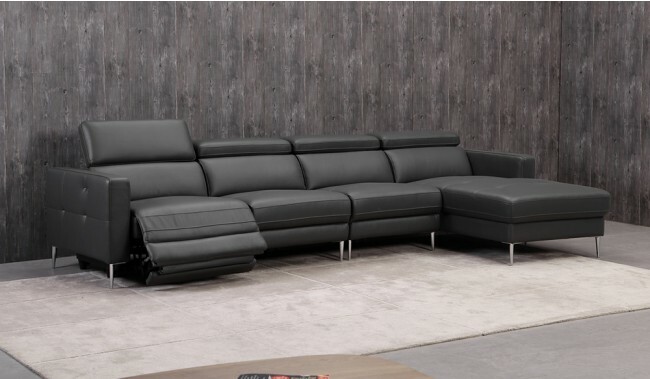 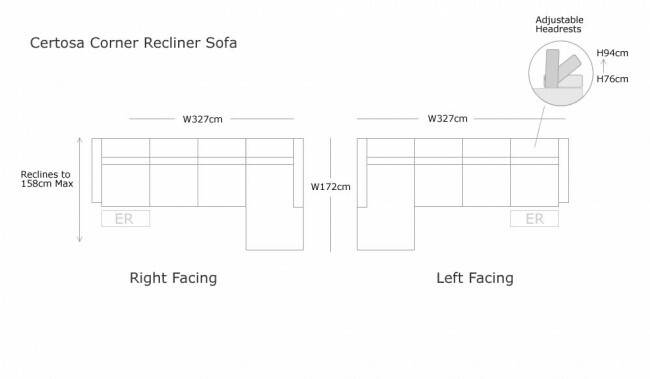 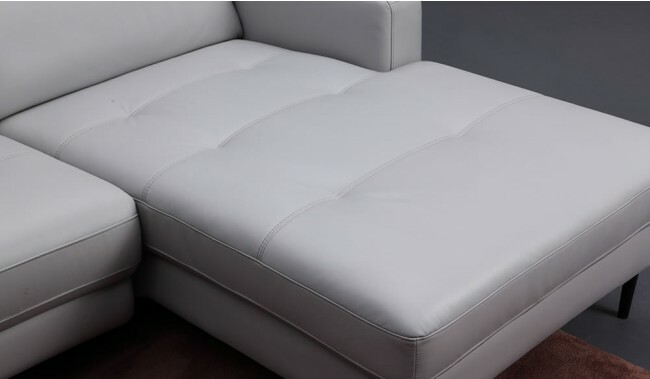 This is an incliner sofa ( as opposed to recliner ) and does not require placing any distance from the back wall. 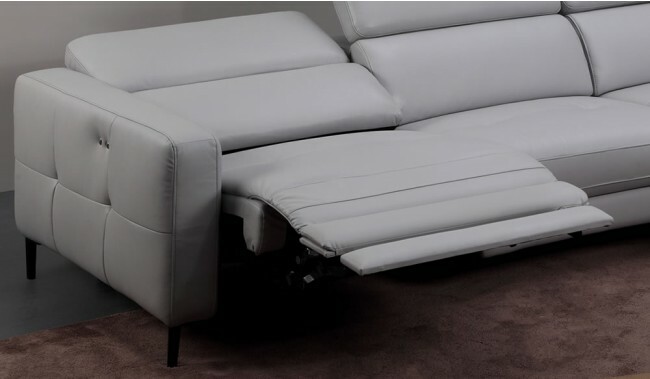 With 2 phase movement, footplate rising first as moving slightly forward, then back reclining but not utilising space behind the back footprint of the sofa. 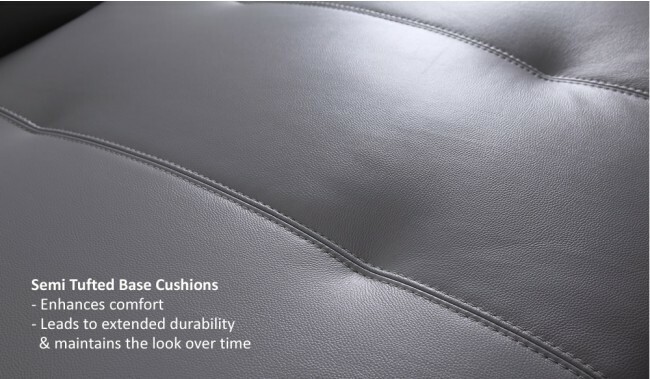 NB: The Snow White colour is a custom option. 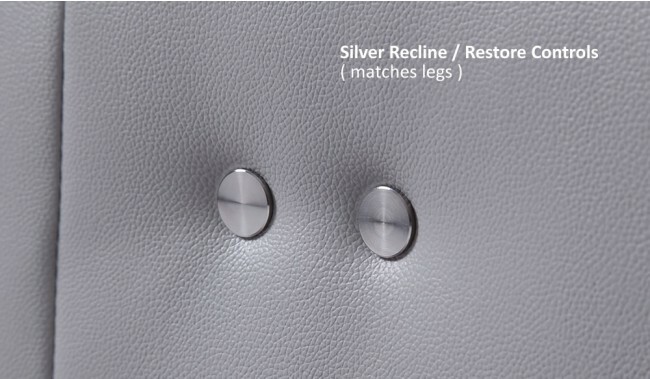 Other finishes are availabe in store such as red, bordeaux or salsa red.